​Who doesn’t know the genius artist who, in addition to being the most renowned name in modern art, is also the founder of the cubism movement in the art world? We are talking ,of course, of none other than the famous Pablo Picasso. The Spanish painter, sculptor, designer and poet whose works still influence thousands of artists around the world is known as the father of modern art. Picasso refused to follow any rules in art, breaking away from tradition to create his own style, one that no longer cared about depicting reality, but about giving the viewers the freedom to see art the way they wanted to see it. Many of the thousands masterpieces Picasso created are considered among the most innovative pieces in the art world, notably “Les Demoiselles D’avignon”, “Guernica”, “The Old Guitarist”, “Le Reve”, and many more. In our collection of famous artists, we chose to reproduce “Le Reve” (“The Dream”) of Pablo Picasso. Completed in 1932, the painting portrays the 22-year old mistress of Picasso, 50 years old then, relaxing on a red chair, eyes closed. The reproduction captures faithfully the sensuality of the moment, depicted through distorted shapes, contrasted colors, and oversimplified outlines, famous to Picasso’s style. 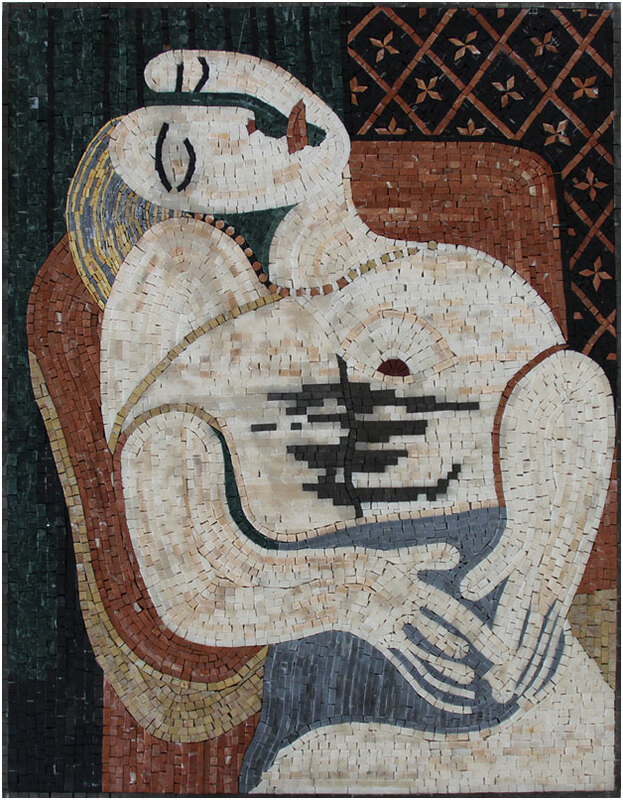 Check out our mosaic of Pablo Picasso's 'The Dream' in our mosaic design store.